I am seeing linen everywhere and I am loving its revival. No longer just for the beach, for the over 50s or for the dinner table, there are styles available to add to your summer wardrobe. There are so many ways you can wear it but I love it for the weekend and day wear but could easily be dressed up. Here are three different ways you can embrace the trend for yourself! I love this dress which on the hanger, didn't look like it would be as flattering, but on worked great! I added a cute belt and a feature shoe to give it a bit of spark but really, this is the perfect dress for the days when I am running after my little one but still need to look decent. It is so comfortable and classic so the style won't date, even after the linen trend passes. Also, great for those who feel they fluctuate in weight as it tailored but not fitted. Evie rocks this look! Normally we would see her in activewear - she is a wellness goddess after all- so that's why I styled her in these pants as they screamed yoga pants but the style allows them to be dressed up and work well with heels. I love the burnt orange tone on Evie and it's a muted tone so much easier to coordinate than a bright orange. Jumpsuits are the new maxis and I it works for me as my stature, unfortunately, wasn't built for pulling off floor-length dress in flats. 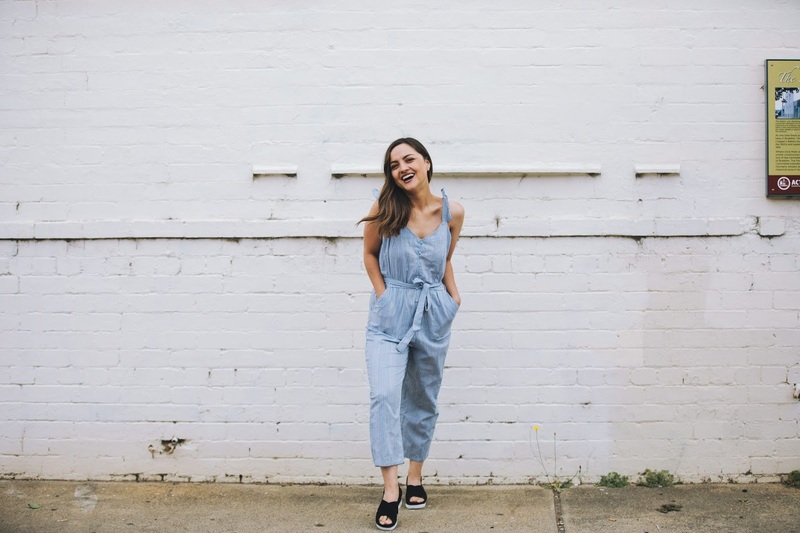 This jumpsuit has served me so well this summer, I have worn it shopping, to the coast but also on really hot days. I love the light blue as I think it makes it as versatile as denim. Haven't had a go at dressing it up yet, as I feel it's definitely more for casual wear. Also- I snapped it up from CottonOn at the Canberra Outlet Centre for $15! Couldn't believe my luck. Ok so, which piece is a must have for your wardrobe?